This month, Halftime Magazine is celebrating its tenth anniversary. In preparation for the occasion, they invited readers to write in with stories and well wishes. When the issue arrived in the mail yesterday, I was lucky enough to once again fond myself within the pages of this done publication. My letter was well summarized, but here, in full, is my love note for a publication as integral to the inception of this space as anything else. Without you, there would be no me. It may seem a romantic, even dramatic notion, but it's true - Halftime Magazine is directly responsible for the existence of 80 Minutes of Regulation. 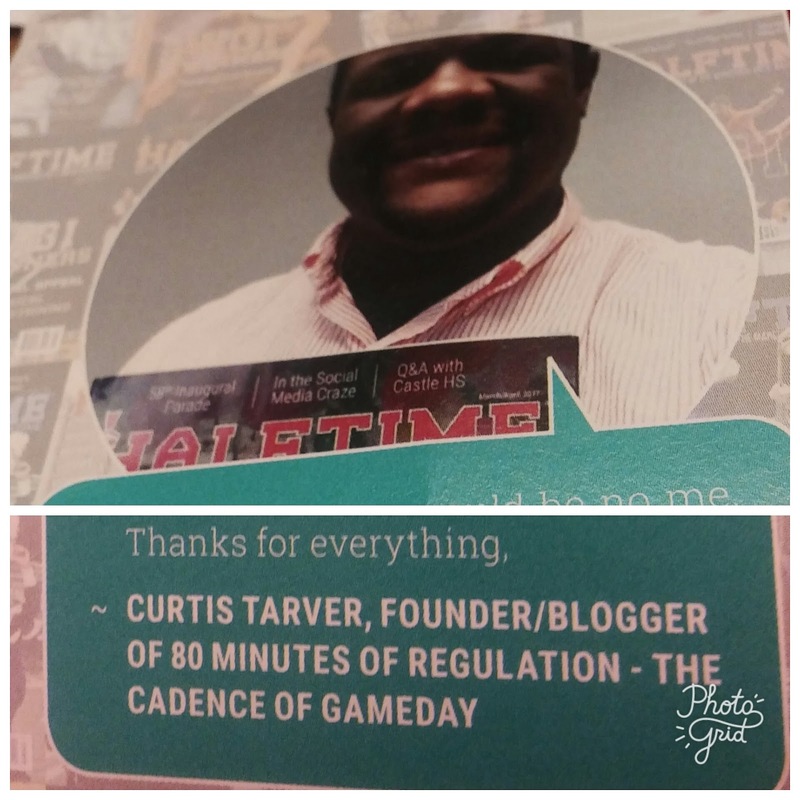 I was excited about Halftime as soon as I learned of your founding, and subscribed shortly thereafter. More than simply a print magazine, one of the things I found most valuable about Halftime was the opportunity to engage. Due in no small part, I'm sure, to the then-recent rise of Facebook, Halftime's online presence included a social aspect, and among its features was a blog where participants were invited to discuss all manners of topics within the marching arts. Thus spawned a big part of what would ultimately become 80 Minutes of Regulation. It was in that sphere that I began blogging about marching/athletic music, and a similar feature available on ESPN led me to combine it with sports content to create the presence I have today. Thank you. But this isn't about me; it's about you. For the past decade I've been a regular reader, faithful subscriber (except for that one time it lapsed... whoops! ), and occasional contributor to the product you've built, and I've loved it every step of the way. You've been the go-to in marching media in your time in the space, and in that time, you've covered the marching arts with a breadth and depth none can match. The magazine is at once for the student and teacher; the fan and the practitioner; the novice and the expert. You transition from DCI to HBCU bands deftly, and are at ease talking colorguard or drumline technique. While none can claim to be everything to everyone, Halftime does it as well as anyone in the marching arts, and I'm certain you have inspired others as you have me. I've also attached a photo. At some of the professional conferences I attend, it is tradition to adorn one's nametag lanyard with pins. Halftime Magazine always makes an appearance on mine!